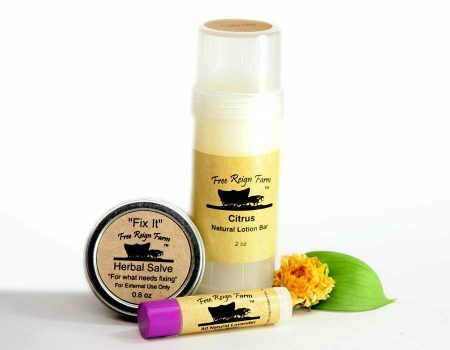 Our lotion bars are the perfect recipe for smoothing dry thirsty skin. All natural goodness without the drying effect of the water found in liquid lotions. 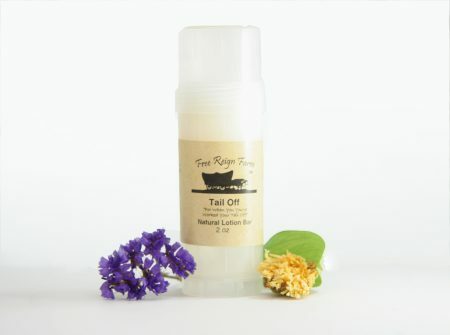 “Tail Off” was born as a remedy to those days on the farm when you’ve “worked your tail off”. It contains a special blend of essential oils to make tired bodies happy again. 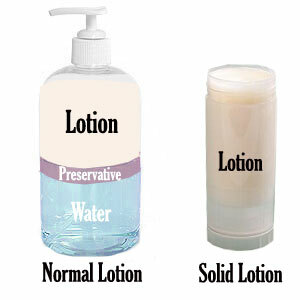 Most lotions are diluted with 50% water and an alcohol-based preservative. Solid lotions bars are the best part of the lotion without added chemicals, preservatives, or water to dry out your skin. 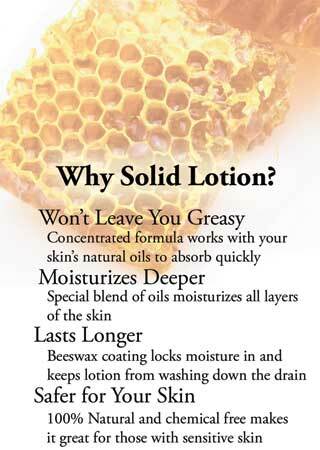 Use and Care: Use on any outer skin surface that is dry and in need of some outstanding lotion with a refreshing scent. first and stop using if irritation occurs. I’m new to “Tail Off” but I can tell you that it worked for me. I have minor aches and pains in my hip area, and I noticed this product seemed to help me out a lot until I could get to my orthopedic doctor to get my shot of cortisone. Since the shot does not work immediately, I chose to continue to use my Tail Off for 2 more days. I then shared my 0.8 oz. container with a friend who has r. arthritis. She used it on her wrists, which seemed to help her also. Thank you Bethany for telling me about your wonderful product. I bought this based on the reviews of the other two people stating this helps with arthritis pain. I was amazed at how well this works for my hip osteoarthritis pain. This works better than any anti-inflammatory or pain killer I have ever tried.